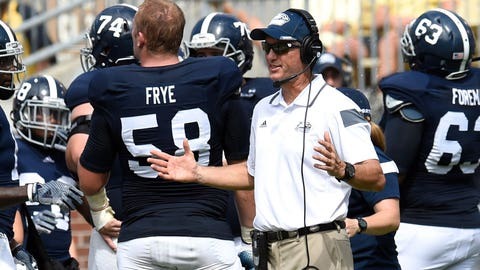 Willie Fritz has spent the past two seasons at Georgia Southern, posting 9-3 regular-season records each year. NEW ORLEANS — Georgia Southern’s Willie Fritz has reached an agreement to become Tulane’s next football coach, a person briefed on the decision said Friday. The person spoke to The Associated Press on condition of anonymity because an announcement won’t be made until the contract is signed. The announcement is expected by Saturday. The 55-year-old Fritz has spent the past two seasons at Georgia Southern, posting 9-3 regular-season records each year. He won the Sun Belt Conference title in 2014 and was the league’s coach of the year. Now he inherits a Tulane program that has a 2-year-old, on-campus stadium and only two bowl appearances since 2002 — the Hawaii Bowl (2002) and New Orleans Bowl (2013). The 2002 game was Tulane’s last bowl victory, over Hawaii.